Winter air temperatures average around –34 degrees Celsius [ºC] and, with the ocean surface layer temperature just above freezing, a thin layer of sea-ice floating on the water expands across the Arctic from the Canadian to the Russian shore each winter, covering an area of around 16 million kilometres. As the sun re-appears and air temperatures climb to a few degrees above zero across the region, this sea-ice – from half to a few metres in thickness – slowly retreats during spring (from March onwards) and summer to a minimum area just before the sun sets in early September of about half the winter extent, at just under eight million square kilometres. But that story is now changing rapidly. 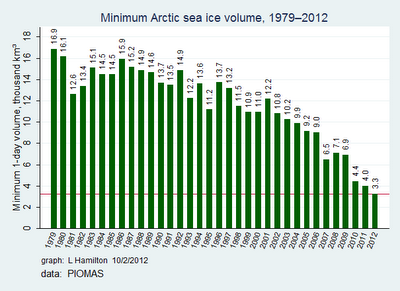 Over the last two decades, the minimum summer sea ice extent has been declining, due to global warming. Warmer air temperatures and a warmer ocean are both contributing to increasing melting, which is not being fully compensated for in the following winter’s freeze. Warmer ocean currents being driven into the Arctic are now also contributing to summer sea-ice melt. In 2007 scientists were shocked at a big jump in the summer melt, and this year they have been stunned by an even bigger event. On 16 September 2012, Arctic sea-ice reached its minimum extent for the year of 3.41 million square kilometres, the lowest seasonal minimum extent in the satellite record since 1979, and just half of the average area for the 1979–2000 period. There was a loss of 11.83 million square kilometres of ice from the maximum extent on 20 March 2012. This is the largest summer ice extent loss in the satellite record, and more than one million square kilometres greater than in any previous year. Two-thirds of the loss of ice has happened in the 12 years since 2000, and the process appears to be accelerating. From 1979 to 1983 in the Arctic, the summer minimum of sea ice covered an average of just over 51 per cent of the ocean. It fell to just 24 per cent of the ocean surface this year. And its not just that the sea-ice is covering a smaller area of ocean in summer, it is also thinning rapidly. 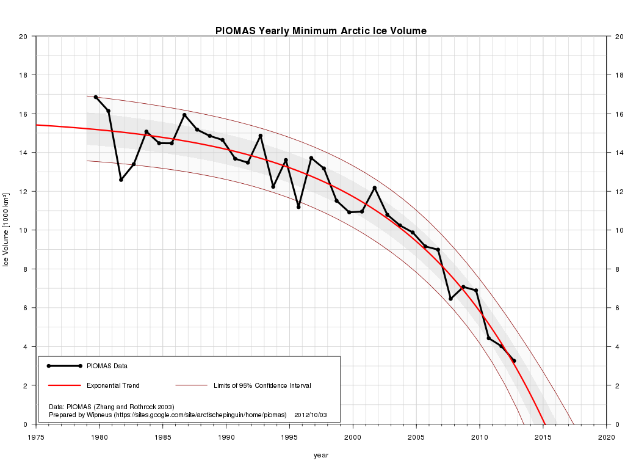 The sea-ice volume is now down to just one-fifth of what it was in 1979. Latest PIOMAS volume data finds a September 2012 minimum of 3,263 cubic kilometers of ice. Contrasted with the figure of 16,855 cubic kilometers in 1979, 80 per cent of the ice volume has been lost. Much of the sea ice is solidly packed – pack ice – but other ice is more broken and moves freely in open water, in what are termed ice floes. Because areas of ice floe contain both sea-ice and open water, scientists use the term “extent” to describe any grid area from their satellite data in which there is 15 per cent ice or more. So “extent” is larger than the area of actual sea-ice. And the term “ice-free” summer is generally considered to be circumstances in which the extent is less than one million square kilometres. Obviously the actual ice area will be a lot less than that. Debate rages in the scientific community about how soon there will be that day in summer when the Arctic is ice-free, but the evidence and trajectory of ice decline suggests it will be sooner rather than later. The majority opinion is that it will happen in the next decade. Previously we covered Big call: Cambridge prof. predicts Arctic summer sea ice “all gone by 2015”. 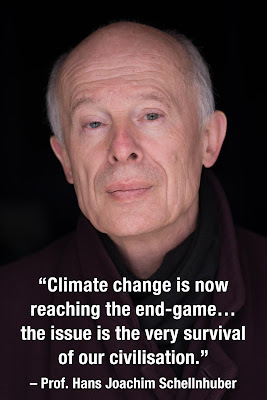 Prof. Peter Wadhams of Cambridge University told the Guardian: "I have been predicting [the collapse of sea ice in summer months] for many years. The main cause is simply global warming: as the climate has warmed there has been less ice growth during the winter and more ice melt during the summer… in the end the summer melt overtook the winter growth such that the entire ice sheet melts or breaks up during the summer months. This collapse, I predicted would occur in 2015-16 at which time the summer Arctic (August to September) would become ice-free. The final collapse towards that state is now happening and will probably be complete by those dates. 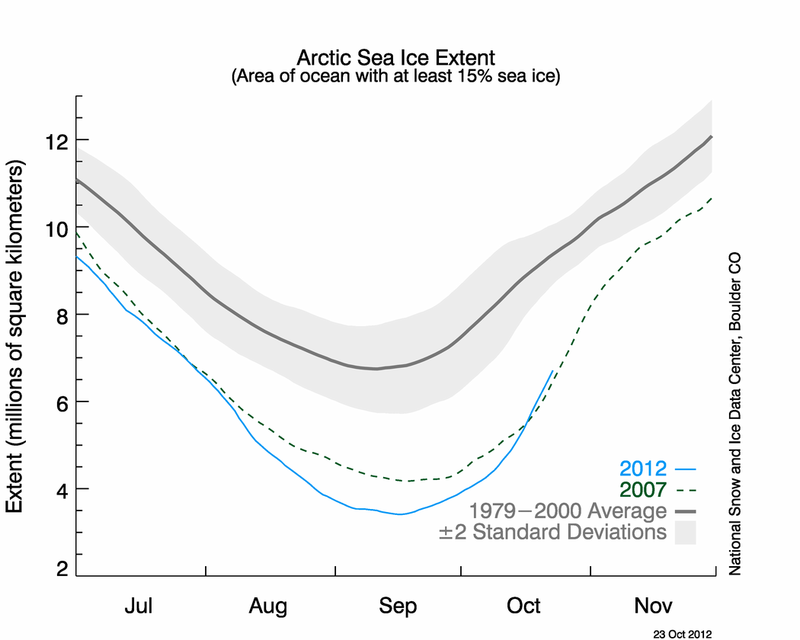 As the sea ice retreats in summer the ocean warms up (to 7ºC in 2011) and this warms the seabed too. The continental shelves of the Arctic are composed of offshore permafrost, frozen sediment left over from the last ice age. As the water warms the permafrost melts and releases huge quantities of trapped methane, a very powerful greenhouse gas so this will give a big boost to global warming." And when an ice-free summer is reached, the pattern in subsequent years will be of an increasing number of days and weeks of ice-free conditions. Wadhams says his guesstimate is that “By 2020 the ice free season lasts at least a month and by 2030 has extended to three months”. We may have to go back to at least 4,000 BC to find the last time so little summer ice was present in the Arctic. Funder and Kjaer (2007) found extensive systems of wave generated beach ridges along the North Greenland coast, which suggested the Arctic Ocean was ice-free in the summer for over 1000 years between 6,000–8,500 years ago, when Earth's orbital variations brought more sunlight to the Arctic in summer than at present. Prior to that, the next likely time was during the last inter-glacial period, 120,000 years ago. Arctic temperatures then were 2–3°C higher than present-day temperatures, and sea levels were 4–6 meters higher. Contrary to claims from climate sceptics, a study released in September this year by William D'Andrea, a climate scientist at Columbia University's Lamont-Doherty Earth Observatory, and colleagues, shows that temperatures high in the Norwegian Arctic were 2–2.5ºC higher since 1987 than during the Medieval Warm Period. Reuters reported that" “The study showed that summertime temperatures on Svalbard were higher now than at any time in the past 1,800 years, including in the Medieval Warm Period from 950 to 1200”. At the height of the Arctic summer when the sun hits the surface 24 hours a day, the amount of incoming energy per day is greater than for a day at the equator at any time of the year. This is a powerful force that each summer has contributed to melting an area of sea ice larger than the Australian continent. With more ice melting and the ice becoming thinner with global warming, the region becomes more susceptible to increased melting in subsequent years. The pattern is clear: warmer seas, warmer atmosphere, thinner ice, more melt. And it feeds on itself via the albedo effect. “Albedo” in the physical sciences is a measure of the surface reflectivity of they Earth. 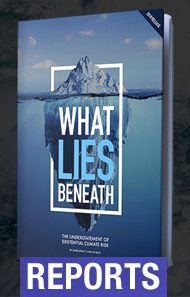 Unpolluted, solid ice not containing surface melt ponds will reflect around 90 per cent of incoming energy. If the surface melts into ponds, that can decrease to around 70 per cent. (One new study found that the melt rate beneath pond-covered ice is up to three times greater than that of bare ice.) And when ice is replaced by dark ocean water, the albedo reduces to 10–20 per cent, so that most of the energy is absorbed and heats the surface ocean layer, which in turn increases local air temperatures. As well, the ice becoming thinner also has a feedback. In a recent paper, Duarte et al find that “the sensitivity of Arctic sea ice to climate warming depends on the thickness of the ice”. 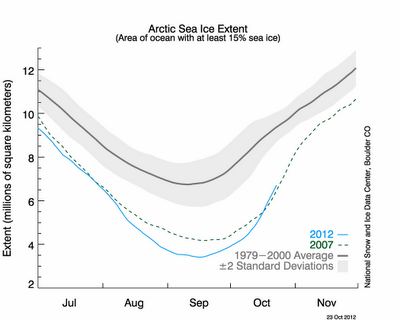 So as more and more ice is replaced by darker ocean, more and more heat is trapped and… more and more ice is melted. This is a self-generating positive feedback that is now in command of the Arctic system; consequently the Arctic is now well passed its tipping point for ice-free conditions given the current (or higher) level of greenhouse gases. This feedback is one aspect of Arctic amplification, in which temperatures changes at the poles are greater compared to the rest of the hemisphere. As well, changed conditions within the Arctic, such as more severe storms leading to more break-up of sea ice, are also contributing. A new NASA study shows that the rising frequency and intensity of Arctic storms over the last half century, attributed to progressively warmer waters, directly provoked acceleration of the rate of arctic sea ice drift, long considered by scientists as a bellwether of climate change. Arctic atmospheric patterns have been notably different in the twenty-first century, and this change in atmospheric circulation has significantly contributed to sea ice decline… In addition to the atmosphere affecting the sea ice extent and volume, changes in the sea ice and ocean also feed back to the atmosphere. Studies in recent years have shown that declining sea ice will result in an increase in both the frequency and the intensity of cyclonic and anticyclonic synoptic-scale systems. The Arctic is warming quicker that the global average. Duarte et al find that: “Warming of the Arctic region is proceeding at three times the global average, and a new ‘Arctic rapid change’ climate pattern has been observed in the past decade.” Others have reported that temperatures are increasing up to four times faster than the global average. As the sea-ice retreats, the magnitude of this polar amplification will increase. Reductions in the sea ice cover are believed to be the largest contributor toward Arctic amplification. The sea-ice cover in June is about two per cent of the earth’s surface. Replacing that during summer in the Arctic with dark, heat-absorbing ocean waters is equivalent to about 20 years of human greenhouse emissions, or about 0.5ºC of warming, according to Peter Wadhams. 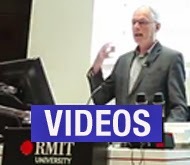 This is consistent with a 2011 study which found that if the Arctic were ice-free for one month a year plus associated ice-extent decreases in other months then, without taking cloud changes into account, the global impact would be about 0.2ºC of warming. If there were no ice at all during the months of sunlight, the impact would close to 0.5ºC of global warming. This is a dramatic exposition of the maxim “What starts in the Arctic does not stop in the Arctic”. The Arctic is heading for ice-free summer conditions within a few years or so, and that ice-free period each year will grow longer in duration over time, leading through the chain of albedo feedbacks to an average increase in global temperatures of around 0.5ºC, which is not incorporated into most scientific temperature predictions for this century.